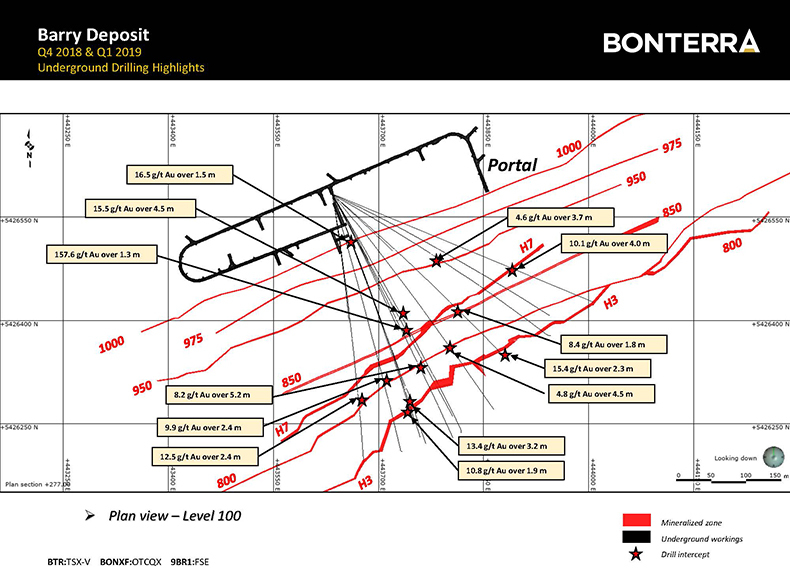 Mineralization at the Barry Deposit has been identified 1,300 m along strike and 600 m at depth. 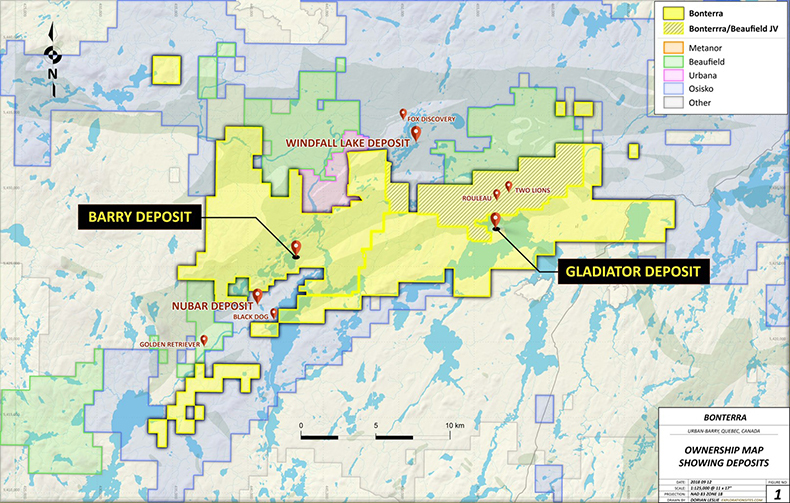 The deposit remains open in all directions, where at least three distinct sub-parallel gold bearing shear zones and secondary tension veins are mineralized. 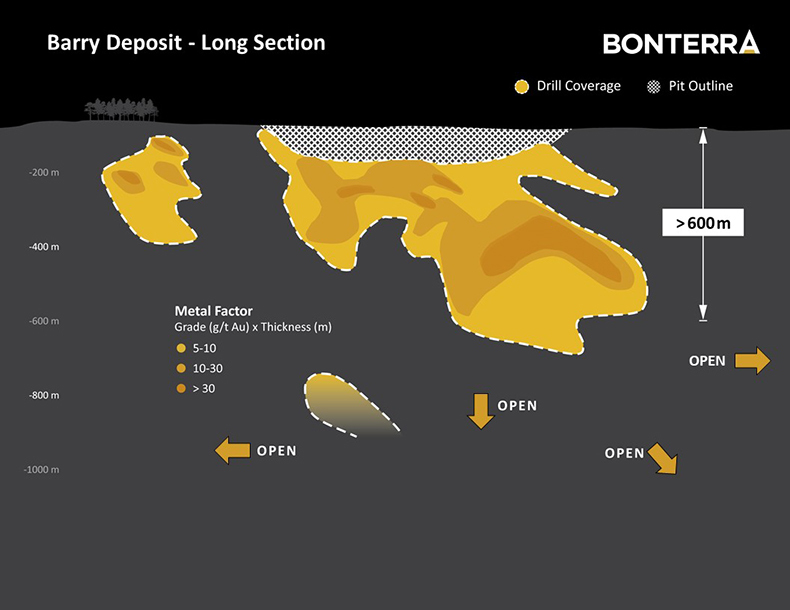 Between 2008-2010, 43,970 ounces of gold was extracted from three small pits at the Barry Deposit. More recently, the focus has been underground development with a ramp underway to being a bulk sampling program in early 2019. A mineral resource estimate for the is anticipated in Q4 2018.